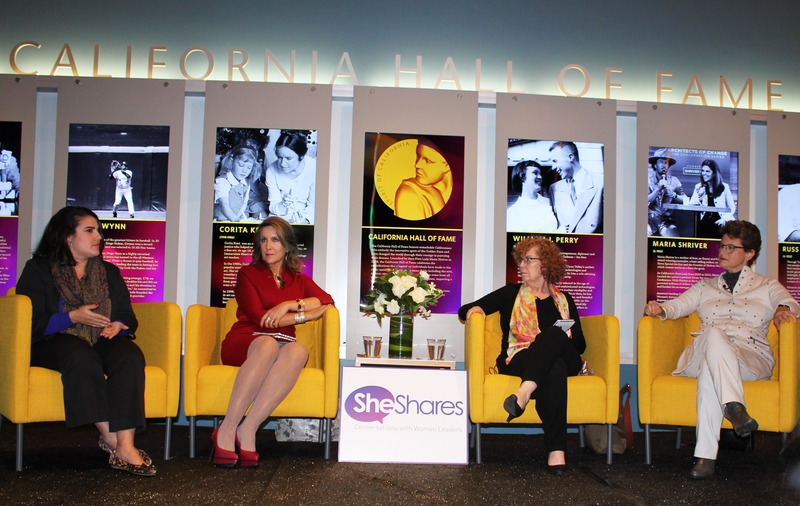 On December 14th, members of the Clarion staff attended a She Shares event at the California Museum in Sacramento. She Shares is a conversation series lead by professional women and provides opportunities for networking and education for the next generation of women leaders. Dewey Square Group’s Karen Breslau, a veteran topic journalist who has covered several political and environmental stories during her career, mediates each conversation. At this event guest speakers were Maria Cardona, a political commentator and contributor for CNN and advocate for Latino issues, Melanie Mason, a journalist for the Los Angeles Times who also covers state government and politics in Sacramento, and Debra Saunders, an experienced columnist who has written several notable works. Topics addressed included forms of how news is consumed in modern times, how much news is true, and how chaotic the news became during the election. The discussion centered mostly on how social media has become the biggest source for news, and the speakers stressed how easy it is for the public to read news on the Internet that has been altered and oftentimes fake. We now have the widest variety of honest and dishonest news sources, making it extremely vulnerable to manipulation by individuals seeking exposure. An example of this, discussed by the panelists, was the 2016 presidential election and the unprecedented victory of President-elect Donald Trump. The panelists discussed the way Trump managed to use the media to his advantage, drawing attention, usually through controversy, to gain an unbelievable amount of exposure. This exposure was often extremely negative from both conservative and liberal outlets, but it expanded the audience of Donald Trump putting him at the forefront of any political conversation for much of 2016. The event also touched on the incredibly different world young journalists, including Clarion staff, will be walking into. With the Internet making it possible for anyone to report news, we must quickly adapt to this constantly changing platform. Competition for the public’s attention will be found not only among fellow publishers and journalists, but among anyone with internet access. While it is almost guaranteed that the online public will carry pressing topics and events, the validity of the information carried across the web cannot be guaranteed at all. As journalists, we must put forward our best work to keep the public on our side, but this requires consumers of media reduce their faith in unreliable, social media news and instill trust in more established forms of media. The panelists provided an honest display of the state of the news industry, showing the Clarion staff, invited as special guests, the challenges still left to face. As all speakers were from different political backgrounds, we heard their different perspectives on the many ideas and topics addressed during the event, which sometimes clashed, but everyone benefited from their differences as they broadened their point of views and beliefs. The prospects of the future of news and journalism are dubious, but undeniably bring motivation to us as young journalists, passionate for honest and reliable news.